The majority of homes in the United States have a microwave oven. People love the fast results and energy efficiency achieved with a microwave and consider them a necessary appliance. Unfortunately, when you use a microwave, you end up compromising your health for convenience sake. Microwave ovens use electromagnetic radiation to heat food and it also leaks out. Studies have shown that this radiation leakage, even if it’s at levels that are below the federally accepted standard, have a negative impact on the user’s overall health. Heating food in the microwave strips away its nutrients. In other words, what started as a nutritious meal is transformed into what is referred to as “dead food”, thanks to the dielectric heating of the microwave. This causes the foods molecular structure to change, diminishing its nutrient content. A clinical study performed by the Swiss Federal Institute of Technology found a significant degeneration of nutrients in microwave heated foods. For example, the health benefits of vitamin B-12 are negated instantly during the microwave process. In a Journal of Agricultural and Food Chemistry study, researchers analyzed microwave heating’s effects on the loss of vitamin B-12 in foods that include beef, pork and milk. The results established that there was a loss of 30 to 40% of the vitamin. The same Swiss study mentioned above found that the makeup of blood changed in some individuals who consumed microwaved vegetables or milk. The study involved participants eating food prepared several different ways that included microwaving. The results demonstrated that white cells increased, red blood cells decreased, and cholesterol levels increased in those who ate food cooked in a microwave. When foods wrapped in plastic are heated in a microwave, carcinogens can develop in the food. The plastic containers used for microwavable foods can contain toxic chemicals, including BPA, benzene, toluene, polyethylene terephthalate (PET), and xylene. These carcinogens as well as other harmful toxins are then released into the food and absorbed by your body. Studies referenced in a Pediatrics journal analyzed the practice of heating frozen breast milk in intensive care nurseries. Twenty-two samples of the milk were tested for antibodies and lysozyme activity by microwaving them for 30 seconds. During the microwave heating process, it was found breast milk’s powerful bacteria-fighting agents are destroyed. Something else to consider is that, because microwaves don’t heat evenly, it causes “hot spots” that can end up scalding a baby’s throat and mouth. The non-ionizing, 2.4 GHz radiation of microwaves can also affect your heart rate. A study conducted at Trent University by Dr. Magda Havas found that the levels of radiation released by a microwave impact both heart rate and variability. The scary part of this study is that these levels fall within federal safety guidelines, even though they can cause immediate and dramatic heart rate changes. Go old school and avoid the hazards of using a microwave to cook or reheat food. Consider investing in a counter-top convection oven (they’re inexpensive too). Just use oven safe cookware, load it up with leftovers, and stick it in the oven. You’ll like this method because it’s fast and doesn’t require a lot of monitoring. Crock pots are a great way to go too, especially with a ceramic container. Stove top cooking doesn’t take all that long either and if you need to use a standard oven, it’s still worth the time and effort when you consider the benefits. Something else to consider is that microwave cooking doesn’t allow time for the delicious flavors to develop like other cooking methods listed here do. Convenient – But at What Cost? By using a microwave, you’re sacrificing health for convenience. 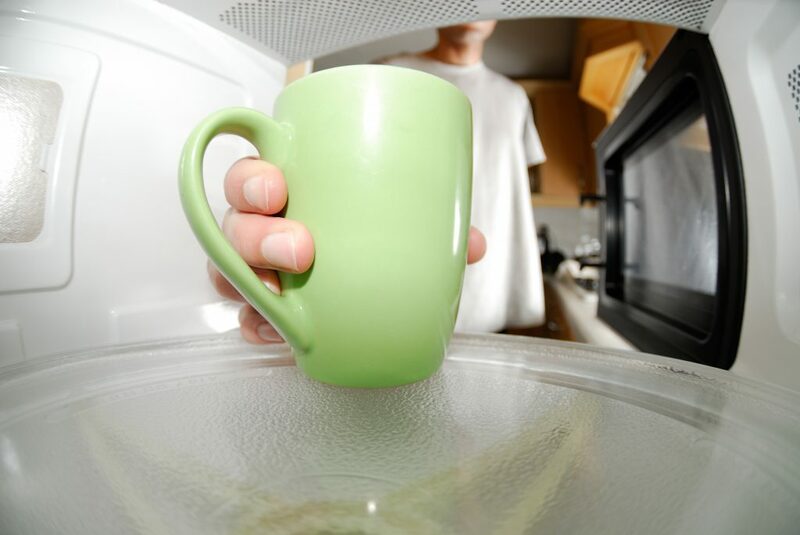 Bottom line, there’s enough compelling information out there to avoid using a microwave.